These 2 pieces are a set and I know they are from the late 1950s. 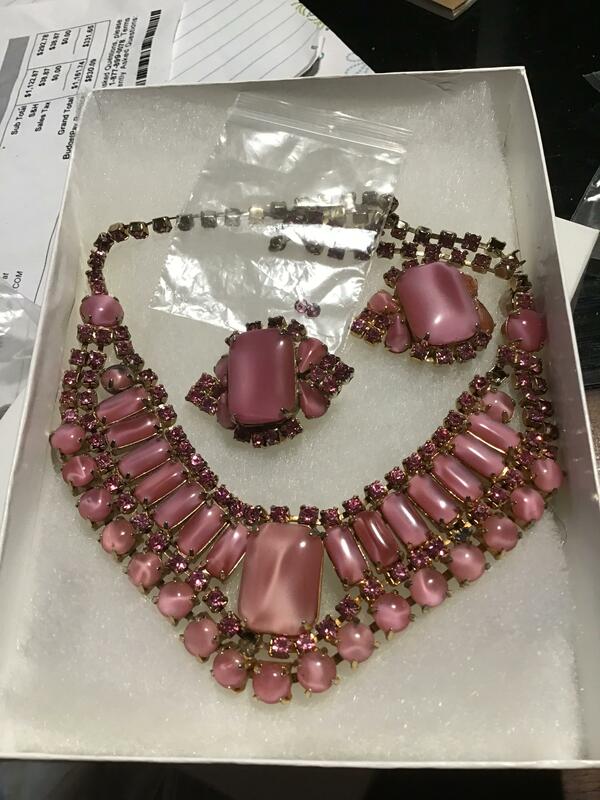 It has pink rhinestones with pink navette moonstones. It is unsigned.